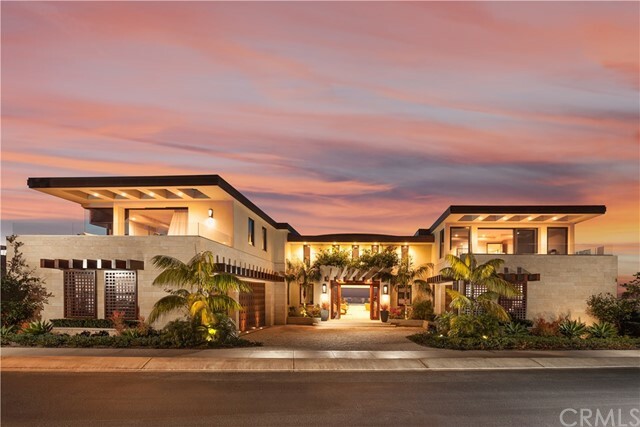 Front row center, unobstructed views, premium location, 8,310 sq foot lot, one of only a few homes with an extended driveway, private pool, previous model home and a 5 to 10 minute walk to 5 star hotels, salt creek beach and a short drive to 5 star montage hotel! 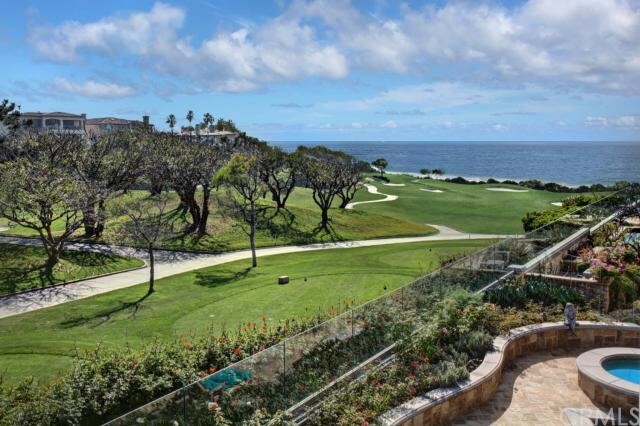 Perfectly positioned in the front row of pointe monarch, a gated community along the coast, with golf course views and ocean breezes, a serene setting void of any roof tops or pch, making this location ideal in every way. Extended driveway, professional landscaping, southeast backyard exposure with pebbletec hardscape and pool. Great room enhanced with a chefs kitchen featuring 3 dacor ovens, miele coffee maker, sub zero refrigerator, marble counters, center island, butlers and walk-in pantry with a separate bar and wine storage area. Interior features 10 foot ceilings, solid doors, wood paneling, coffered ceilings and multiple french doors leading to outdoor areas creating a seamless indoor-outdoor experience. Master suite with a private balcony enhanced with wide sweeping greenery and golf course views. Master bath with limestone floors and shower, free standing soaking tub, dual shower heads with rain shower, limestone counters, grasscloth wallpaper and walk-in closet. Second level multi purpose entertainment loft with option to convert turret area to an additional bedroom. 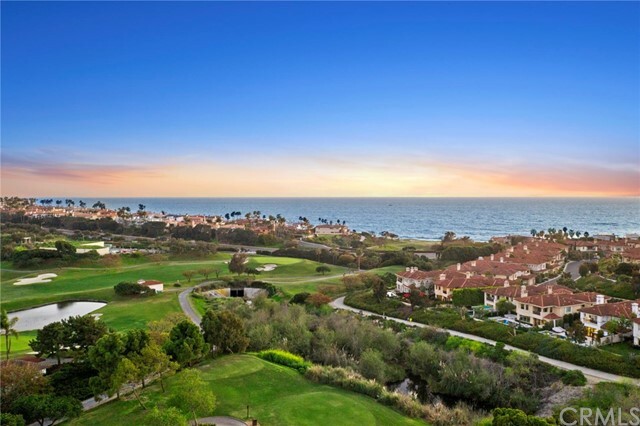 Pointe monarch is a gated community with a private gate to salt creek beach walking trail, gelsons market and restaurants. Situated on a fabulous location, on a private cul de sac, this dramatic ocean view mid century villa boasts a very large private lot. It's automatic gated driveway leads to a 3 car garage & gated entry to a rare huge ocean view private courtyard, landscaped around pool & spa with plenty of room for entertaining. Enter through custom double entry doors to a elegant foyer which leads to beautifully designed dining room, family room with fireplace, updated kitchen & breakfast room & cabana style bath on main level, offering multiple sets of french doors open to outdoor patios to create california style living around pool & spa while enjoying delightful ocean views. 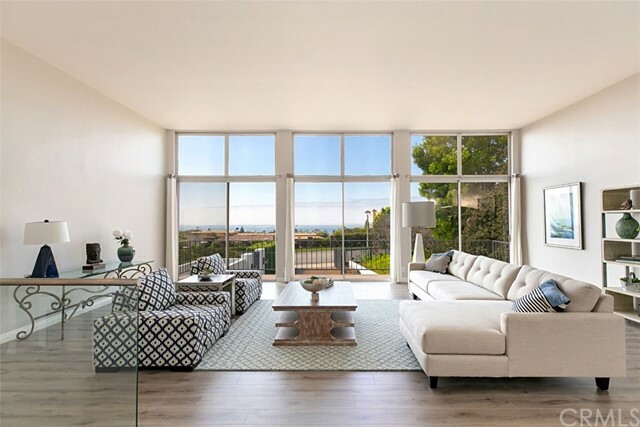 A few steps up to a great room with high ceilings & 3 sets of large sliding doors open to balcony, one can enjoy fabulous ocean views & great natural lights, this room is perfect to show case your fabulous art collections. Featured on upper level remodeled ocean view master suite with fireplace, balcony, stunning bath with ample closets. In addition there are 3 more guest bedrooms, 2 with great views of blue pacific & more beautifully remodel baths. 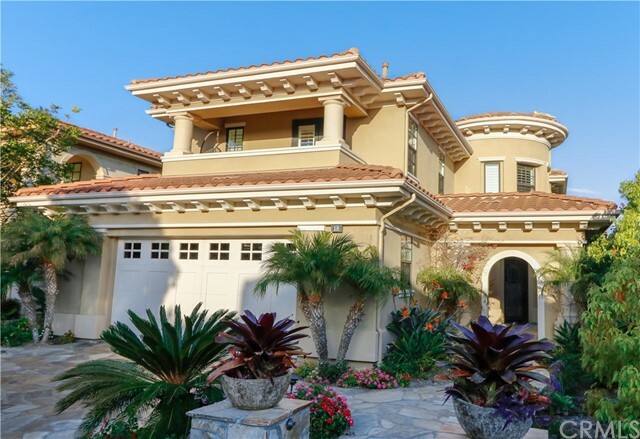 This mini estate is located in highly desirable monarch bay terrace in laguna beach adjacent charming city of monarch beach with easy walk to pristine beaches, shops, restaurants and easy access to laguna beach & beautiful dana point harbor, corona delmar, new port harbor, fashion island. Thank you for showing this great property.